A few days ago, I discovered the joy of posting in Instagram. It allows me to share more ad hoc musing. I usually carry 2 Midori traveller notebooks and pen my thoughts and ideas in them. There are lots of good materials in the notebooks but lately I am extremely busy to put them in writing and post them in my blog. So, this could be a good platform to fill in the gap until I settled down to write in my blog later. I am not sure this will be a permanent direction but it certainly fits into the current agenda. The main theme is still on tea with occasional refresher posting on my other hobbies topic. Some teapot has nickname after we developed a relationship with the pot. Most often, it has become our magic pot, which we can control and perfect all our regular brews. This is one of such teapot. The firing is lower, which allow it to cushion the edges of some rougher tea. 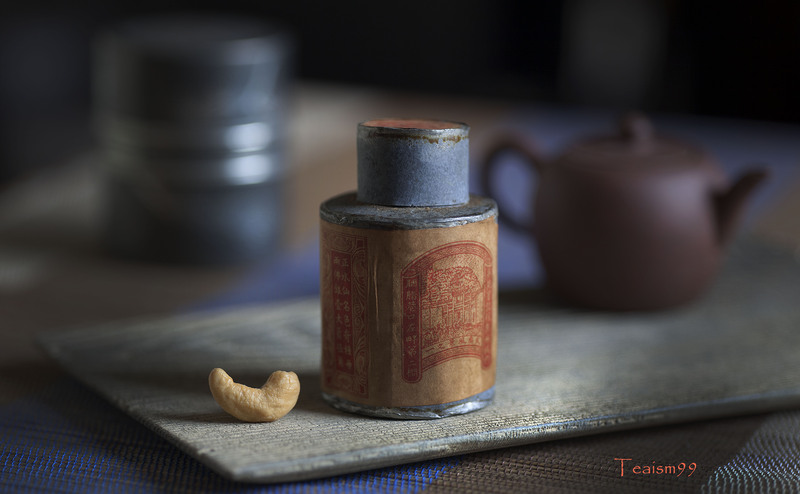 Its density and clay characters enhance the aroma and aftertaste of many teas. The flow is incredibly fast due to its short spout, which is perfectly aligned to allow precise control over the pour. This teapot is also very easy to nurture and shine incredibly fast after a few brews. Based on its clay characters and ease of control, it is very easy to achieve a good brew with this teapot. A masterpiece Japanese kyushu teapot with rice grain size calligraphy of 36 poems by Gisui (Kondo Yoshikazu). He is one of the famous teapot artist based in Tokoname, Japan. He is born in 1947 and has recently retired from making teapot. He has won many awards for his works and held many prestigious exhibitions. This teapot is a great legacy of the past. It was done before 1980s on unknown year. The pot was held on by Gisui all these years until it came to my collection by the kind blessing of fate. The pot is engraved by late Ms. Matsuda Shidu who was a calligraphy teacher. Apart from her work as a calligraphy teacher, she also engraved large brazier and teapots. Her excellent calligraphy technique is reflected in the engraving. The carvings are impossibly smaller than rice grain size ; delicate and gentle yet fluid and enchanting. I can almost hear the whisper of the poems. The subject of the calligraphy carved on this teapot is based on the poems composed by a group of poets. The Thirty-six Immortals of Poetry (三十六歌仙 Sanjūrokkasen) are a group of Japanese poets of the Nara, Asuka and Heian periods selected by Fujiwara no Kintō as exemplars of Japanese poetic ability. There are five female poets among them. Many thanks to Mr Toru Yoshikawa for his assistance to write the poems in Japanese and translate it. According to him, some of the calligraphy is done in ancient character and cannot be presented digitally. I guess we have to fill that gap with a nice pot of tea. disappearing into the shadow of the island enshrouded in the morning mist. The wind under the tree where cherry blossoms flutter is not cold, and the sky is unware of the falling snow. Spring has come to many a place but snow still falls on the mountains of Yoshino. In Spring the pheasant scrabbling for food in the field sings a love song to his mate and alerts us of his presence. The stork abandons the receding sands and calls out as he flies off in search of food on the grassy　coastal plains. Our hearts would rest easier in Spring if such a phenomenom as cherry blossom did not exist. Had I known that such a thing would happen to my mother, I would not have stroked her black hair so hard as a child. As evening approaches on the riverbank, the haunting cry of the assembled Plovers penetrates through the mist. Lost in the mountains, the plaintive cry of the plover haunts my soul. The feelings in our hearts and minds change as frequently as flowers fade and wilt. As the hour grows later, the deepening chords of the koto reminds me of wind whistling through the pines on the Peak of Takasago. Had I never met you, my life would not have been filled with such sorrow. Should I go searching, what unusual shells would the wide sands of Ise yield? Reflecting on my life’s daily struggles, how envious I feel of the shimmering moon rising in the clear night sky. The cry of cuckoo wrapped me in nostalgia and left me hungry for more. Stranded on the mountain path until twilight, unable to reach my goal. Children uproot pine saplings praying for longevity. Without the saplings, what would we use to measure our existence? Where did they come from and how did they meet? The strains of the koto and the wind in the pines. But his life will stretch eternally as each section represents a thousand years. I could not see the arrival of Autumn but my ears signaled its approach. My heart is as troubled as rocks pounded by stormy waves, while yours is calm. In Spring, even the evergreen pine’s foliage seems a deeper shade. Your feelings do not reflect mine, but tonight we are looking at the same moon. Who says that the crane buffeted by the wind in Fukei Bay can never return home? Counting the moonlight’s ripples on the water, I recogniｚe the Autumn full moon. How long do I have to know you before I can count you as a true friend? Not even the oldest pine tree has the answer. How I wish I could take the deer’s song back with me, along with this Bush clover brocade. The Deutzia flowers bloom on the mountains of my hometown even though snow still clings to the clifftop. Like the God of the stone bridge, I show my face only at night. If you should see my face in the morning, I fear that you would never return. Do not burn the land to get grass to grow. Leave it to the Spring sunlight. As Autumn fades I find not frost upon my head but white hair. On the mountainside where snow still remains, only the song of the nightingale heralds the coming of Spring. “Imitation is the sincerest form of flattery”. Historically, in Chinese Art, including Yixing teapot, producing a replica or copying is a part of the learning process. The Yixing teapot culture has a few hundred years history. The height of the Yixing teapot culture was during Qianlong period in Qing dynasty. From that era until the 20th century, many teapot artists learn by replicating teapot from the past or same era. Antique and grandmasters teapots are often used as a model for the apprentice to learn and copy. Even grandmasters copy each others’ teapot to capture the details and increase their understanding. 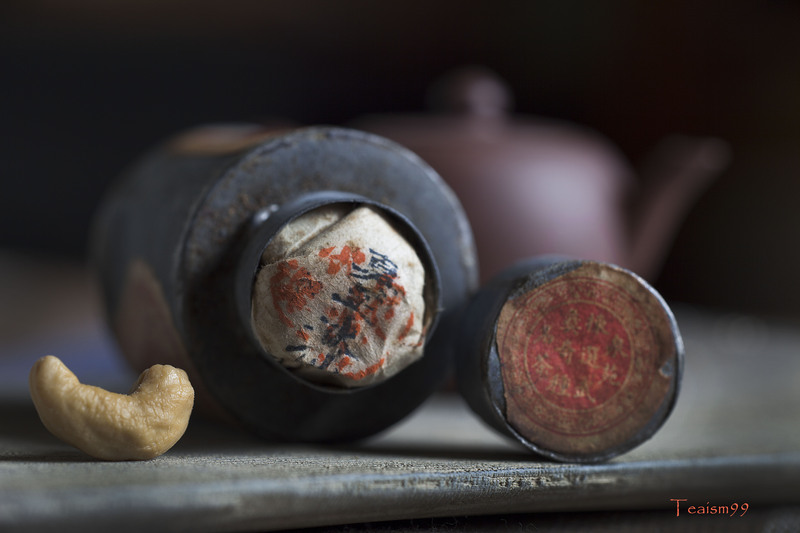 Most of the replica teapots in those eras were still handmade, using real Yixing clay and fired in dragon kiln. From the 1960s, mould and modern oven or kiln are used to intensify the production of Yixing teapots, especially during the Cultural Revolution period from 1966 to 1976. With the new technical knowhow, replica teapots productions were also intensified. One of the most rampant eras in producing replica teapots was in the 1990s where many Cultural Revolution, older and grandmaster replica teapots were produced to meet the huge demand by the Taiwan market. 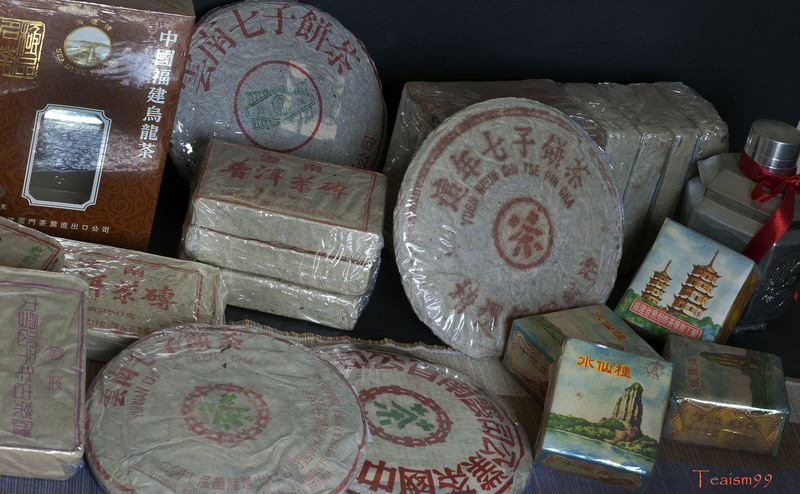 The clays of these batches are manipulated, but generally still made of real Yixing clay. Many of them have additives to enhance the color and appearance of the pot and also to alter the physical character of the pot for successful firing in the modern oven. With the recent vast and wide availability of information and technologies applied on the productions, the recent replica teapots can be as close as 99% lookalike of the real thing. Many seasoned collectors struggled to authenticate the recent replica teapots. Unless one has seen and has the experience and guidance to physically examine a real piece, it is very difficult to authenticate a Yixing teapot. Generally, there are many different levels in replicating Yixing teapots. Many collectors can still accept a replica teapot, if it was made known, priced accordingly and done in real Yixing clay. This type of replica teapots can still be collectable and used for appreciation purpose and sought after by many collectors. The main criteria for considering a replica teapot is the clay and the price; and of course, the fact that it is identified as a replica teapot. Buying a replica as a genuine Yixing teapot is definitely what most collectors try to avoid but inevitably, that happened very often. 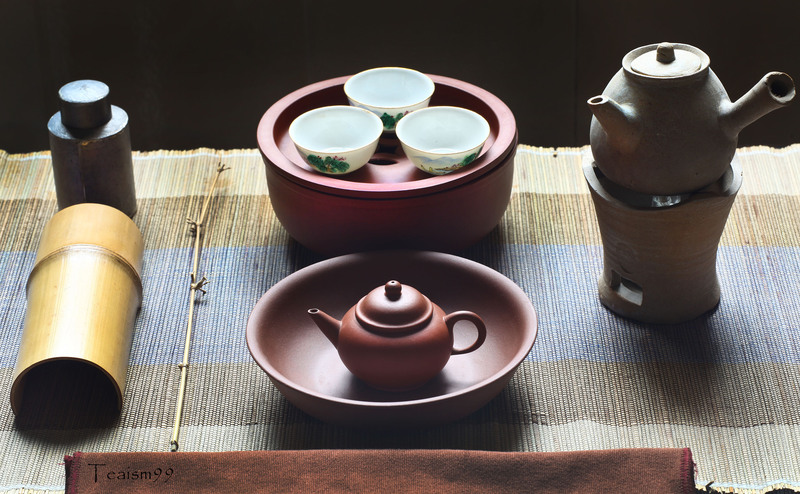 The real Yixing clay supply was exhausted since 1990s and the older authentic Yixing teapot are hardly available. With the great demand from modern China and broadening of the Chinese tea culture worldwide, replica teapots conveniently fill in the gap to satisfy the huge market demand. New collectors are lured into collection with replica tea pots from different eras, masters and styles. The stories to support these replica teapots are also incredible. A real pot can be bought and cloned into thousands with uncanny level of similarities and details that even the expert takes a lot of effort and experience to authenticate any teapot. To consider purchasing a teapot for decoration purpose, the criterion lies with each collector. Any form, style and design and stories that fit in the collectors’ ears and pocket can be considered. But, to consider purchasing a replica teapot for brewing tea, it is a totally different matter. The main criteria should be the authenticity of the clay. Many modern replica teapot use modern unknown clay with additives and they may be harmful when used to brew tea for consumption. They are always attractive and furthermore, the stories and price always fit. It may be prudent to use a porcelain or glass tea brewing vessel e.g. gaiwan etc. to brew tea for drinking instead. The two teapots above is a replica of each other. They are made at least 50 years apart. Not many collectors can tell the difference, even when they have the chance to physically examine both teapots. It is even more difficult to authenticate a teapot if the person has not physically view an authentic piece before. There are way too many replica teapots online and some even in books, so it is really a tough journey to take. Replica Yixing teapots, although was a learning tool of the past, has gone beyond its real meaning. With the new technology and technical knowhow , teapots can be replicated in large scale for commercial gain to meet the huge market demand. Maybe in near future, we can order a Yixing teapot online and 3D-print it with clay ink….!! This century could potentially be remembered as the Renaissance of Replica of Yixing teapots. In the early 90s, the Yixing teapots industry has moved into a new phase. The state owned factories which produced mass market teapots were winding down, paving way for private factories. At that same time, many new teapot artists emerged with the passions and skills to push the Yixing teapot design and craftsmanship to a new artistic frontier. Although my Yixing teapot collections focus mainly on Cultural Revolution period or earlier teapots, the newer artist teapots of late 80s to early 2000 attracted my interest due to their high quality of workmanship and artistic pursuit. Most of the artists’ teapots of that period are done in good Yixing clay and personally crafted by the artist. One of my favourite Yixing teapot artists of that period is Xia Yimin (夏逸民). He was born in 1962, a native from Jiangsu province. Xia Yimin specialises in bamboo theme teapots. The clay he uses is Yixing clay (宜兴泥), consisting mainly of Duanni (鍛泥), Hongni (红泥 ) and Zisha (紫砂 ). Although his rank is merely Assistant Craft Artist (助理工艺美术师), his level of craftsmanship exceeded many senior artists’ or even masters’ works. Xia Yimin has held many exhibitions internationally and won several awards. His teapots are currently sought after by many Yixing teapots collectors from all over the world based on its high level of artistic pursuit. Due to the intensive works required to put into the high level of craftsmanship and astounding level of detailing, his teapots are rarely available. I acquired some of his teapots when I was travelling in Hong Kong and China, which I will post separately in future. The photos in this article show the teapot bought in Singapore during his solo exhibition in 2006. Back view. The red patina on the duanni teapot is surface-applied hongni to emulate the natural appearance of the bamboo. This teapot capacity is around 90ml/3oz. Bottom back view. Very intricate details of the bamboo roots formation. Matching tea cups in bamboo theme. One of the most advance tea brewing technique is the Chaozhou Gongfu tea brewing style. There are many variations to it, adapted over the years but the basics and goals are generally the same. 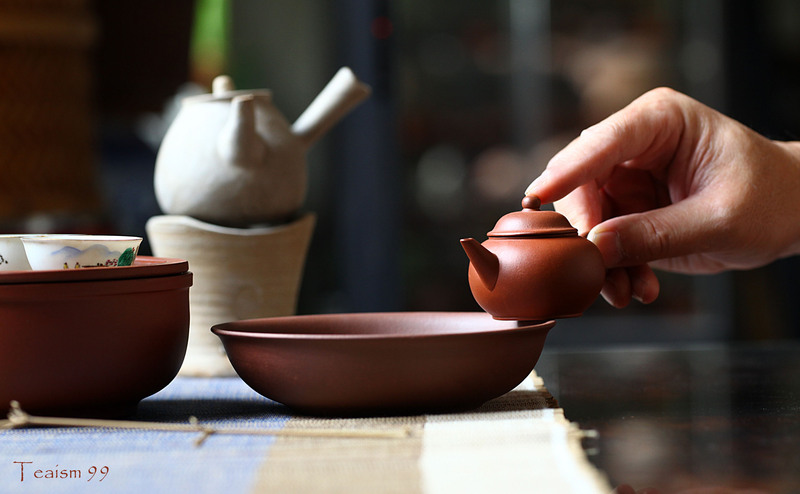 Chaozhou tea brewing style typically involved using a small Yixing or Chaozhou Teapot to brew tea. Whilst its basic principles and philosophies can be explained in minutes, it takes decades to understand and master it. The brewing process looks fast and simple but everything happen in nanoseconds and it require a very high level of skills, habits and profound understanding to move that fast in the correct sequence and order without hesitation. A slightest hint of doubt or hesitation will affect the outcome of the brew tremendously. In Chaozhou tea brewing, there many advance techniques. Micro vibration is one of them. I often refer to this advance technique as “Vibro”. There are also many other advance techniques and they are often just whispered away as a subtle hint during tea sessions. Beginner may not take these technique seriously and often dismiss them as a passing remark in tea conversation.